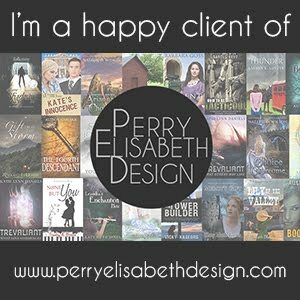 Today I have a special treat for y’all… an interview of a super sweet author of contemporary Christian fiction! Join me in welcoming author Livy Lynn to Once Upon an Ordinary! Livy, tell us a bit about yourself. I’ve always enjoyed storytelling, ever since I was a little girl, but I didn’t make the decision to begin pursuing writing professionally, until a few years ago. I was running my online magazine for Christian girls (www.crownofbeautymagazine.com) and I had a few fictional projects I had been working on, just for fun, collecting dust on my computer. I thought, “Hmm, what if our Crown of Beauty girls would enjoy these stories? What if I’m not the only girl who is frustrated with the selection of YA Christian fiction we have available today? What if someone else would enjoy a trip to Tarsurella?” (Tarsurella is the fictitious, modern European country where The Tales of Tarsurella take place.) So I decided to enlist a few Beta Readers, get their feedback…and wow, I was blown away and humbled by their responses! I thought, “Okay God, maybe this is something You have for me. Maybe this is yet another avenue to share truth, and to put your Love and Beauty on display for the world.” And then I started writing like crazy, haha! May we have an introduction to Tarsurella and The Rebellion specifically? Of course! The Rebellion is a sequel to The Coronation, which is book #2 in The Tales of Tasurella trilogy. In The Coronation, Prince Addison is only two weeks away from inheriting the entire Kingdom of Tarsurella. In spite of all the excitement while preparing for this grand event, Prince Addison and his younger siblings (all 7 of them!) must carry on with the daily activities of life. Prince Addison is advised not to begin ruling without a wife by his side, so he’s receiving a lot of pressure to fall in love and find the right woman. Of course, he wants to do things God’s way, which means things aren’t always going to go as one would imagine! The Rebellion picks up just a few months later, as Addison has finally fallen in love…but the political terrain of his nation is incredibly rocky. Rumors of a rebellious uprising among the youth in Tarsurella intensifies, as acts of violence and protest break out across the city. Addison is determined to discover a hidden instigator who is fearlessly blogging democracy-driven ideals, with a secretive pen-name. Do you have a quote or story passage that makes you smile? “An adventure? In a library?” Hanson asked. Oh wow, what a question! I think it could take me ALL day to answer that! Do you have a few hours? Haha! Truly, I am so blessed. And a day doesn’t go by without my heart exploding in thankfulness as I look back in wonderment at everything the Lord has done in my life. I’ve seen Him work so many miracles. Open so many doors. Teach me so many lessons. Give me so much grace. Just the simple fact that there are excited, precious, priceless souls out there who actually want to read what I write, and hear what I have to say is just: wow. I’ve got several other projects in the works, some of which I can tell you about, and some I can’t! Haha. But one of the projects I CAN tell you about are the new Author Coaching Sessions my sweet friend Bella and I are offering, for authors who desire to self-publish their first book! We also offer sessions for established authors and bloggers who desire to grow their reach, build their platform, or even launch a brand new blog. It’s SUCH a joy being able to help encourage other aspiring authors, and Bella and I have some pretttyyyyy fun stuff up our sleeve that we’ll be releasing soon, so if this sounds like something you’d enjoy, please come check us out! Lovely interview. 🙂 I’ll be heading over to check things out, Livy.